I knew I should have stayed in line to get this bag!!! I was there on the opening day. 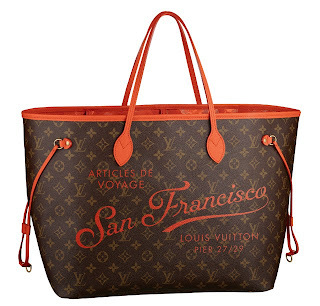 I had no idea the Louis Vuitton pop up store in the America's Cup plaza had limited edition items. Oh well. How stupid of me. I should have guessed. I went couple days ago and the sales person told me they only made 400 of them and that they are not sure if they will get anymore in stock. She also had no idea how many of them were sold already. I was like no thank you. Not interested in coming back daily when the store open to check if they get more stock that day. That's a lot of work for a bag. Although if my mom or sister say they want one, I probably will do it.